Imageline Settlement Agreement Sent by Teri S.
ELI is the definitive informational website in the U.S. to combat and defend against Getty Images' (& other stock photo) extortionistic letter practices. Since 2008, ELI reports on important news, information, and strategies to assist the ever-growing numbers of Copyright Extortion Letter victims. ELI has fought legal battles against enemies that have attempted to silence, cripple, or shut us down. Help us continue the fight against copyright extortionists by supporting ELI through a Paypal Contribution. Please make a small PayPal contribution of $10.00 to $30.00 if you found valuable information that assisted you in defending yourself against copyright extortionists and to ensure ELI's continued existence on the Net. Please understand this is an ongoing battle fraught with legal risk to us. We need ongoing community support to continue our work here. Thank you for your enthusiasm and support of our cause. All Justices Concur! ELI Wins Internet Free Speech Appeal in Georgia Supreme Court! 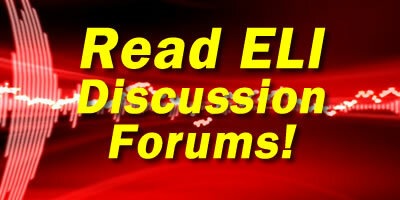 Enter your email address to subscribe to ELI Updates and receive notifications of new posts by email. * ELI gets nearly 13,000 unique visitors per month. The highest recorded was in February 2013 with 13,100+ unique visitors. Our single highest daily unique visitor count was February 21, 2013 with 1,466 unique visitors. * In February 2013, 74% of ELI visitors do so from direct connections. (We have a large base of repeat visitors.) The other 26% find us through search engines, mostly through Google. * An estimated 3,500+ letter recipients worldwide have listened or watched our informational audios and videos since we launched in 2008. © 2008-2019 Matthew Chan. Special thanks to Robert Krausankas (Web Design of Palm Beach) for donating web hosting services to the ELI cause.